Over 2 centuries ago ambitious 32 year old man in Osaka, Japan did something what today would most likely land him in Jail in most countries. He started a business by selling traditional Japanese and Chinese remedies. He did it by oldest and easiest trick imaginable, he bought substances in bulk and divided them in smaller chunks with purpose to sell locally and with higher price. This man was Chobei Takeda the First and believe it or not, this was the beginning of multi billion company which nowadays is known as Takeda Pharmaceutical Company Limited. What was the start of Takeda's succes. His success is attributed to several business decisions like turning his attention to western medicines in the end of 19th century. Takeda started to import medicines from US, Spain, Germany and other regions. They gained exclusive sales rights from another big and even older pharmaceutical company “ Bayer” from Germany which is known for trademarking name “ heroin” for the substance diacetylmorphine. There also is another accomplishment worth mentioning when talking of Takeda’s story, this company pioneered a new class of medicine . They did develop one of the world first medicines in field of gastrointestinal medicines called Lansoprazole. They started selling it in Europe in year 1991 and it accomplished the hard task of FDA approval in 1995 with name Prevacid. Nowadays it is distributed and successfully sold in 90 countries. Right now company has come a long way from selling Chinese traditional remedies locally to Pharmaceutical giant with 30 000 employees in several continents. Company in its way to becoming a giant has swallowed a lot of smaller and not so small companies. From which most probably the biggest deal is acquiring company “ Nycomed ’’ ( Norwegian- Switzerland company)for staggering 9,6 billion Euros and the deal was done by September 2011. After Takeda aquired "Nycomed" Actovegin came in to play, it was manufactured by "Nycomed" but as companies merged , now it is manufactured by Takeda. 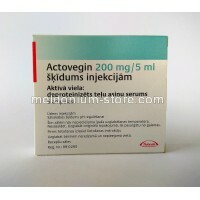 This fact sometimes makes it hard to understand what is the real manufacturer because there are a lot of sources still saying that Actovegin is manufactured and sold by “ Nycomed” . Company in total has seventeen production plants which can be classified as in house. These plants are located across 14 countries and in addition they have several plants which are run as joint ventures with other companies. The already mentioned huge deal with “ Nycomed” allowed Takeda to enter the Russian market which added more than fifteen million US dollars in sales the year of acquisition. This was the start of expansion in Russian market which is the 11th largest pharmaceutical in the world. The next step was expansion in Russian market by building significant manufacturing plant in Yaroslav, it started shortly after Takeda bought “Nycomed” company in year 2011. Takeda is the only big Pharmaceutical company which has heavily invested in Russia by building manufacturing plant there. 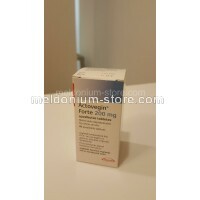 The main focus is manufacturing of Actovegin tablets and ampules , cardiomagnyl ,aspirin tablets and calcium tablets. One of the biggest advantages of having facility in Russia is the fact that Takeda can avoid import duties from importing goods from European countries. 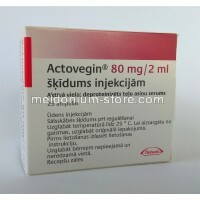 In case of Actovegin , they are Austria and Germany where Actovegin is manufactured for European distribution. This plant is quite big and these numbers describe it very well. Complete area is 24 000 square meters. It is manufacturing about 90 millions ampules from which majority is Actovegin injections and addition to that, 2 billion tablets and all this in one year. Times are changing at Takeda. If we take a step back from Takeda’s expansion in the global market and look at the management structure in a larger scale, we will see little bit different picture. The company was started about 230 years ago. For almost all of this time the presidents chair was occupied by Takeda’s family members, in this time period there was 10 men in total from which the last president was Kunio Takeda in time period from year 1993 to 2003. In year 2003 after resigning from presidents position, Mr K.Takeda appointed a new and first ever non family member as next president. This man was Mr Hasegawa and he had experience in overseas business management, shortly after acquiring the position, he told that company has only operated locally and should go in global market which he promised to achieve in short period of time. This was the basis of Takeda’s overseas expansion worth approximately 20 billion USD dollars which as we know led to acquisition of Nycomed and other big Pharma companies. But everything did not go so smoothly as expected and “ Takeda ” struggled to keep Nycomed profitable, this called for action and the first ever non “Takeda” family president did something unthinkable in Japanese business culture, he appointed French man from UK based company as next president. He justified his decision by saying that Japanese businessman are not able to handle such internatrioanl challenge. He added also that the company needs man with experience in global business management. And so the seemingly unthinkable change of presidents was realized in year 2013. To understand why this is so unconventional and even shocking , one has to understand that not only the Japanese culture as whole is different from European and US but particularly the Japanese business culture has a bunch rather intereting and important differences. One of the factors is that Japanese CEOs are significantly older than CEOs in other countries , on average the CEO in Japan is 63 years old and the youngest known is 42 years old. This is connected to the characteristics of business meetings and could be quite surprising to foreigner, the golden rule in business relationships is that “Silence is Golden”. In a business meeting silence is valued over a lot of talking, this is because silence is correlated to persons wisdom and emotional self-control. Another thing is that the solidarity of the group is highly valued and from this “rule” one can see that Japanese would not like and even usually accept outsiders running their company. And finally- privacy is also highly valued to such level that it is possible to delete you name from phone book officially. These all factors makes one understand that people from other countries are not welcomed in Japanese business management structure and makes it clearer why the decision of last Japanese president of “ Takeda” was so surprising and not welcomed by Japanese public. If we take a look from yet another side of this story. Even tough “ Takeda ” is an old and respected company in Japan which has been managed by generations of one family for more than 200 years, it is relatively young in global sense. Its haven't been even 20 years since they entered the global arena and I think that this is only the beginning of its story and we will see a heck of a more from this Japanese Giant.